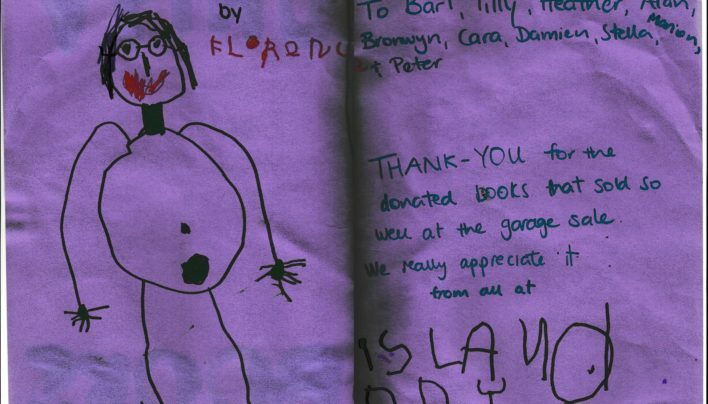 A thank you card from Island Bay Play Centre for books donated to their garage sale. 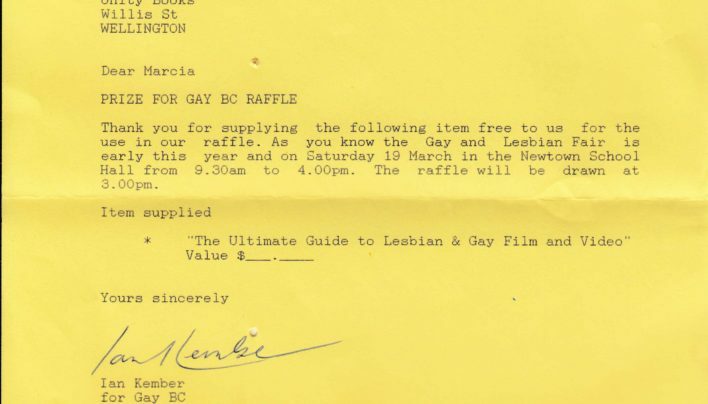 Letter of thanks from GAY BC thanking Unity Books for donating a prize for their fundraising raffle. 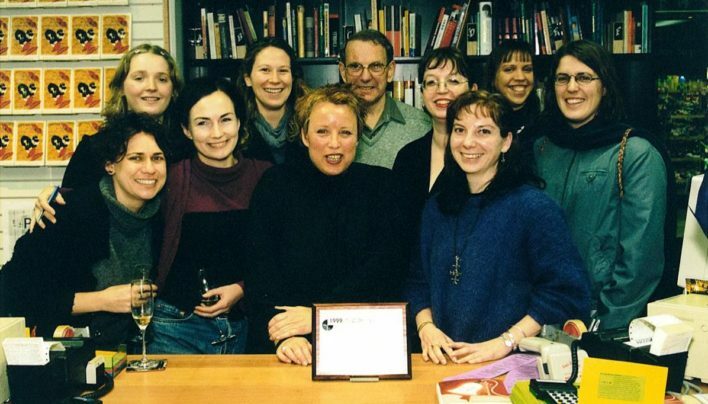 Official notice of Tammy Taylor’s eight-month secondment to Random House in London, with details of who to contact in her absence. 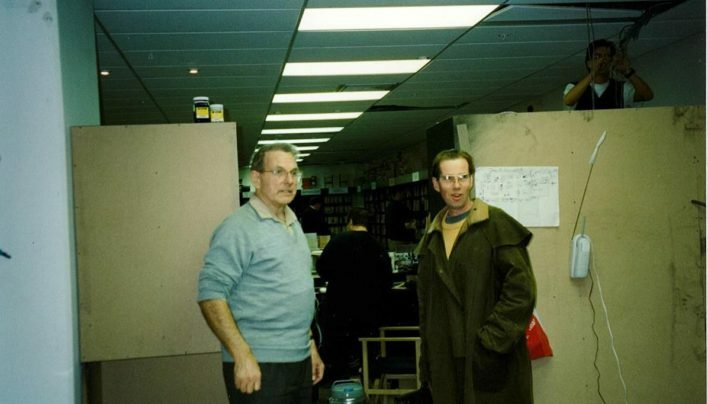 A note from Matthew Byrne wishing the team luck for the shift from Perrett’s Corner to 57 Willis Street. 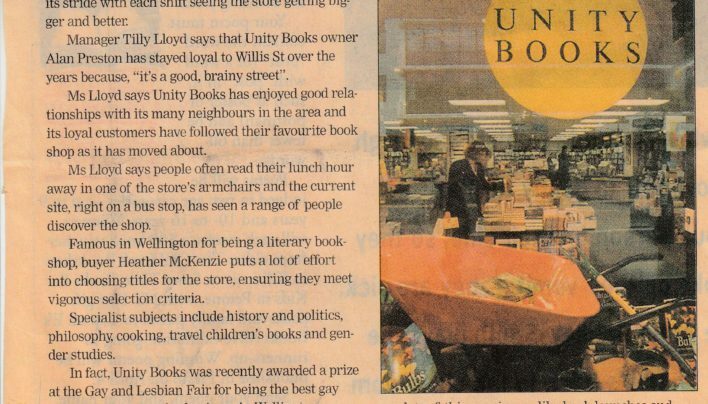 In 1999 Unity Books Wellington was named Thorpe Bowker Bookseller of the Year.